February, Febrero, Février, 二月, call it in any language, is still the shortest month of the year. It can be dauntingly long for a Newcomer (You!) to this city of Nairobi. But you are not alone! 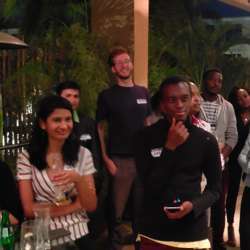 Every month, InterNations Nairobi celebrate the Newcomers (you again!) with open arms and a fantastic way to meet new friends and jump right into everything this vibrant, dynamic city has to offer. Come join us at the February Newcomers’ Event and celebrate the shortest month of the year and beginning of exciting new friendships and experiences! 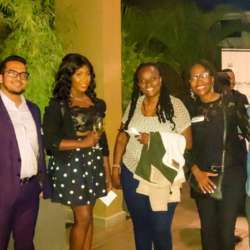 This event is a perfect opportunity for you to get to know other expats who has recently arrived to the city who are also navigating through the same mire of questions you may have: housing, restaurants, nightlife, tips and tricks that will ease your life in Nairobi. 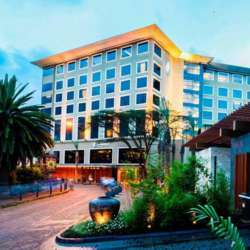 Please join us at the Artisan, situated on the first floor for the five star Hotel Sankara, Westlands. Artisan showcases the finest global cuisine with a live show kitchen and an outdoor terrace. We will gather on the 21st of February from 7:30 PM onward. Let's meet, network, have fun and relax after working hours! This is a free event - there is no mandatory cover charge! 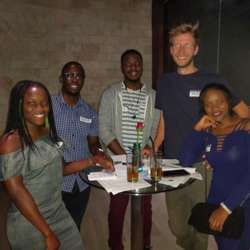 Our Newcomers’ Event will start with a short introduction round followed by a casual mixer. You will discover all the benefits of being a member of InterNations and the difference between Basics and Albatross Members. We will start the introduction round at 20:30 (24 h format) sharp, so please try to be on time! We shall arrange for a Ice Breaker Game to allow you to know your fellow expats a little better. So don't forget to carry a Pen or a Pencil. Consul(s) of various Group(s), will also be at the event to give you an overview of all the activities they regularly organize. They will be happy to answer your questions afterward. If you have any question or volunteer for check-in our attendees PM Sid (Siddhartha Ray).